This was my first attempt at making jam. I didn’t can it, I just used some freezer jars, and made a small batch. The jam turned out pretty good. It doesn’t quite have the same texture of regular jam, but it wasn’t a bad substitute. Apples and lemons have pectin in it. That’s where the pectin comes from in jam. 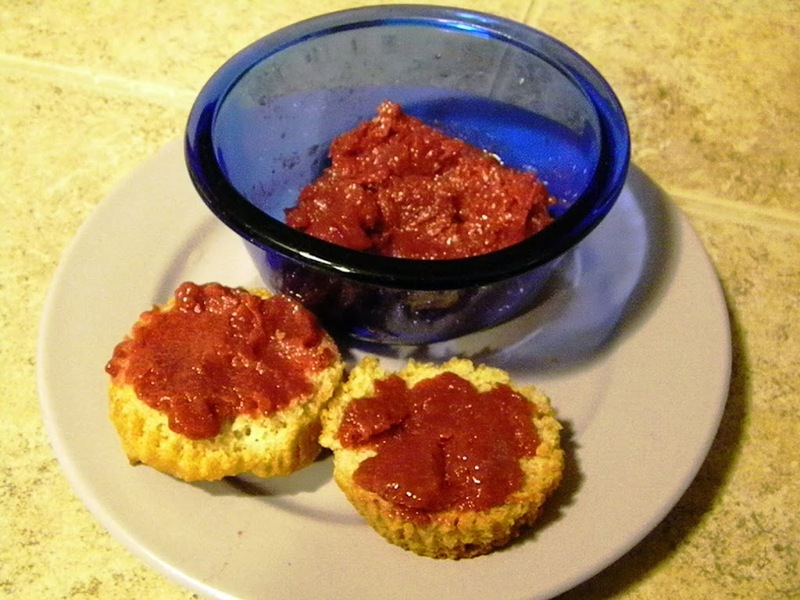 You can make preserves without pectin by using gelatin. I haven’t tried that yet, but I do plan to. For SCD apples and lemons are allowed. It just means we aren’t adding pectin on its own. Pectin is pectin. When you are eating apples and lemons, you are eating pectin. When in doubt, always read what Elaine Gottschall had to say. She made her jams with strawberries, raspberries, peaches, apricots, black currants, or a combination of these. Then she added honey (1/2 cup for each quart of fruit). She did not use apples or lemons.